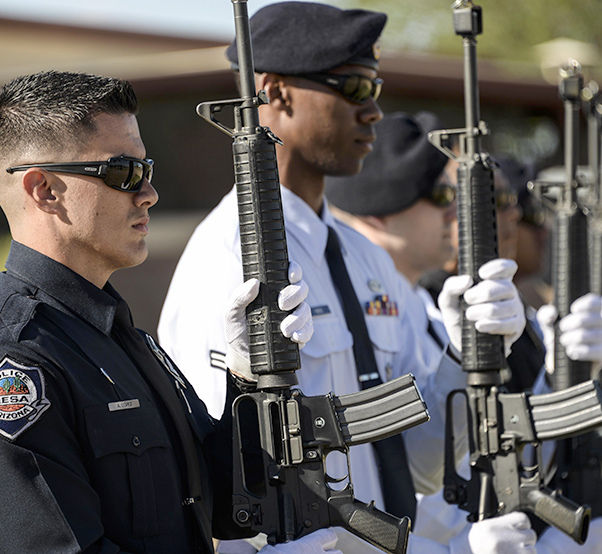 Personnel from Luke Air Force Base, Ariz., local police departments and members of the community came together to recognize the service and sacrifice of law enforcement personnel May 15 through 19 during National Police Week. The tradition dates back 55 years and was started by President John F. Kennedy who signed a proclamation designating May 15 as Peace Officers Memorial Day and the calendar week in which that date falls as Police Week. According to Seale, Police Week is a time to remember those who have fallen while defending others. It is also an opportunity to learn what security forces members and police officers do on a routine basis. 56th Security Forces Squadron Airmen and members of the Mesa Police Department and other agencies perform a 21-gun salute at the S.S. Mayaguez retreat ceremony May 18, 2017, at Luke Air Force Base, Ariz. Twenty-three men assigned to the 56th Special Operations Wing lost their lives when Khmer Rouge communist forces of Cambodia seized the S.S. Mayaguez ship in international waters sparking an American military response May 12 to 15, 1975. Throughout the week, the 56th SFS hosted various events. May 15 consisted of a police awareness day held in the commissary parking lot featuring the display of modern weapons used in ground combat, a face-painting tent and 56th SFS military working dogs. May 16 was a police day for kids held with a safety discussion and MWD demonstration. The morning of May 17 featured a 24-hour remembrance run in the air park where 56th SFS members took turns running in 30-minute intervals for fallen comrades. On May 18, a retreat ceremony was held to remember 56th SFS Airmen who lost their lives when Cambodian, Khmer Rouge communist forces seized the S.S. Mayaguez in international waters sparking an American military response. The incident took place May 12 to 15, 1975. Twenty-three men assigned to the 56th Special Operations Wing lost their lives. The S.S. Mayaguez retreat ceremony and 21-gun salute took place at the Wing flagpole. 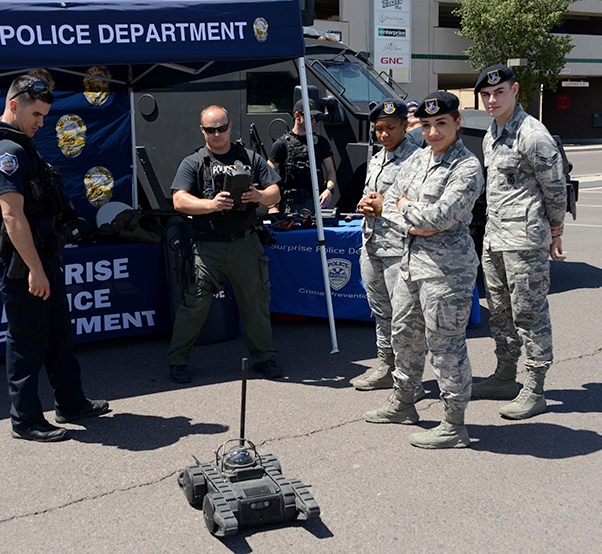 56th Security Forces Squadron Airmen interact with technology used by the Surprise Police Department May 15, 2017, at Luke Air Force Base, Ariz. A police awareness day was held in the commissary parking lot featuring the display of modern weapons used in ground combat, a face-painting tent and 56th SFS military working dogs. Airmen and local law enforcement personnel came together May 19 for a golf tournament at the Falcon Dunes Golf Course, and a four person scramble and 50/50 raffle. 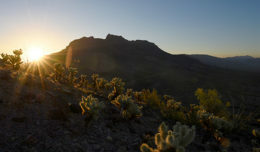 Twenty percent of all proceeds from the event will be donated to the Air Force Assistance Fund and the remaining portion to the Arizona 100 Club, a local organization which provides assistance to statewide public safety agencies, officers, firefighters, paramedics and their families. Police officer representatives from the city of Glendale, Surprise and Mesa attended and participated in the assorted activities. Kim Dominguez, Glendale Police Department recruitment unit sergeant, reflected on the significance of Police Week. 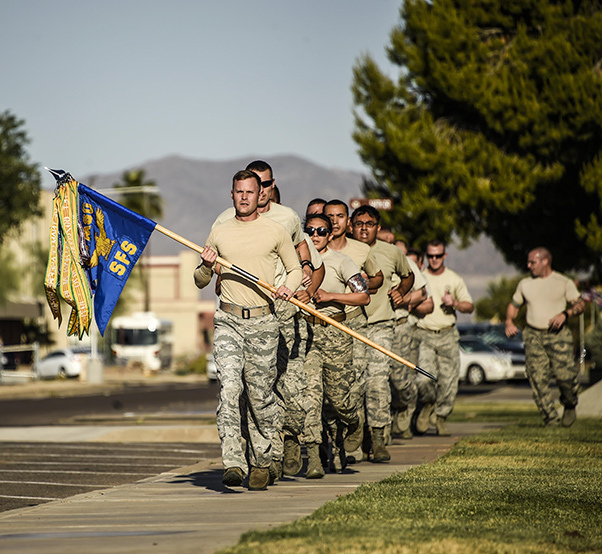 56th Security Forces Squadron Airmen participate in a 24-hour remembrance run during National Police Week May 17, 2017, at Luke Air Force Base, Ariz. Airmen, local police departments and members of the community came together to recognize the service and sacrifice of law enforcement personnel May 15 through May 19.